The phone and fax numbers will not change. A century-old structure that has been restored. Featuring stone piers, wooden planks, and a steel structure, the historic War Eagle Bridge in Northwest Arkansas is a community icon and treasured landmark. And now that it has been restored, visitors will continue to cross the bridge and enjoy the nostalgic aura of days gone by. A wastewater treatment plant upgrade that is being constructed in phases to save money and help the city address a DEQ consent order. The City of Mustang, Oklahoma had to upgrade its wastewater treatment plant within a fiscally strapped budget. The city worked with Garver to tackle this major capital expense by designing the project in two phases, separating them by 10 years, and utilizing government funding sources. The first phase is now complete, and the project has increased the plant's efficiency and doubled the capacity, all without expanding the site's footprint with new construction. A runway extension that helps isolate general aviation from air carrier traffic. Little Rock National Airport extended Runway 18/36 another 1,100 feet. This enables airfield controllers to use the 6,224-foot Runway 18/36 for more business jet traffic and dedicate the other runways to air carrier operations. A transportation project that has received a long-awaited environmental clearance. The proposed 12-mile arterial loop in Conway, Arkansas is a step closer to realization after Garver completed an environmental impact study that has resulted in the city receiving environmental clearance to continue with the project's design and construction. 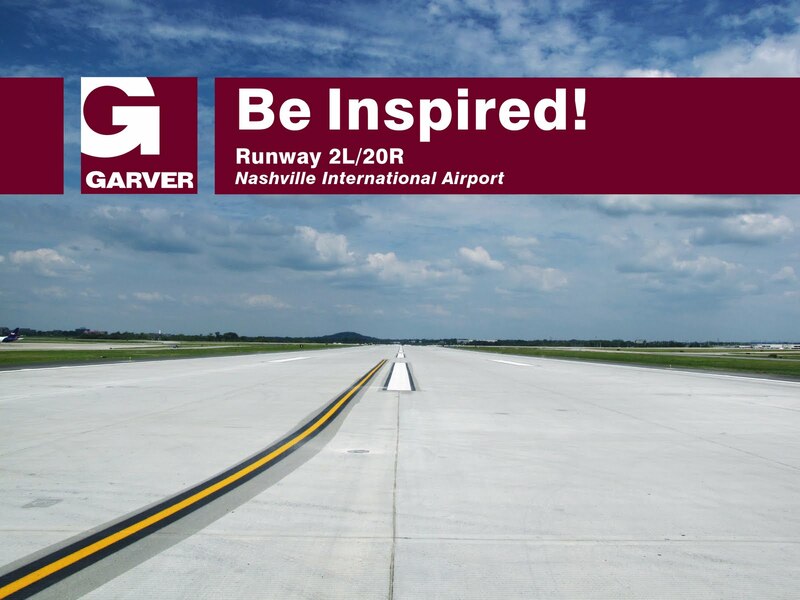 Garver's specialization in LED airfield lighting. Airports are using LEDs to decrease operational costs, increase lighting system reliability, and improve airfield visibility for pilots. 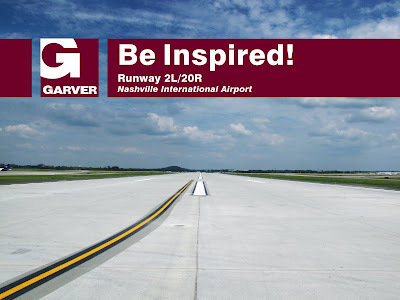 Ever since the FAA certified LED taxiway edge lights in 2002, Garver has worked with airports, the FAA, and lighting manufacturers to understand LEDs and specialize in their application. Watch your mailbox for this issue of IQ or read it online along with past issues. In the life of a child, there's few things more special than receiving a new bike for Christmas. The new paint and shiny spokes encourage childhood daydreams and help unwrap the joy of riding fast and exploring farther. 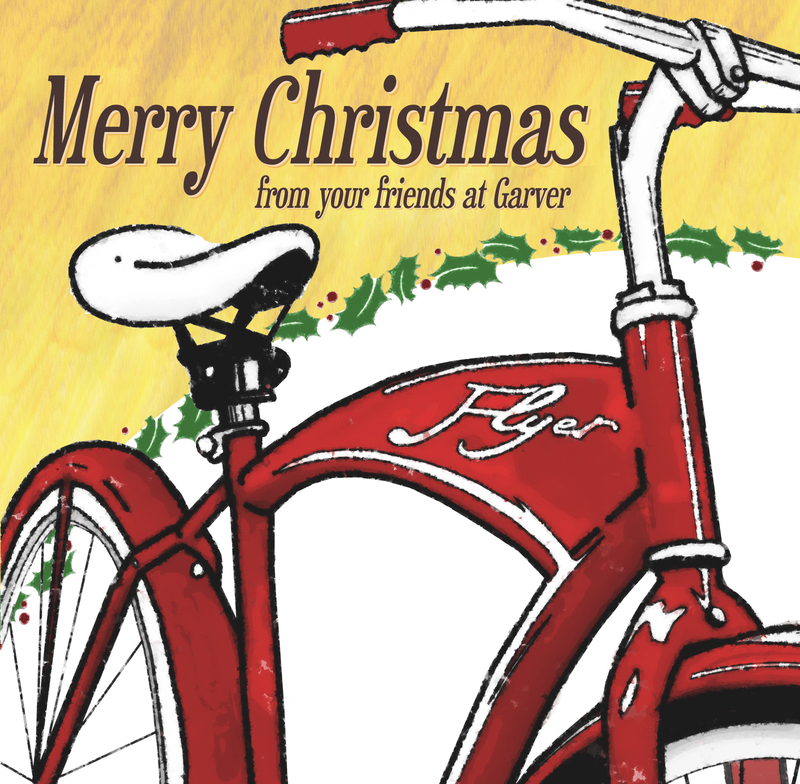 At Garver, our employees are rediscovering the pleasures of riding a bike. We encourage our Garver family to have fun and stay healthy through cycling activities, a commitment reflected in our designation this year as one of the nation's top bicycle-friendly businesses by the League of American Bicyclists. In the midst of this holiday, may your Christmas be filled with childlike joy, and may all your dreams come true. The Oklahoma Department of Transportation and the U.S. Department of Transportation's Federal Highway Administration has signed a $49.4 million grant to construct a new westbound Interstate 244 bridge in Tulsa. The TIGER (Transportation Investment Generating Economic Recovery) Grant goes a long way in helping pay for the I-244 bridge replacement. The multi-modal bridge will be a two-level structure that carries rail, vehicular, and pedestrian traffic across the Arkansas River. The rail will accommodate both commuter and high-speed lines. 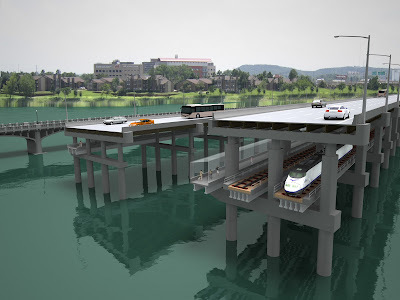 Garver has been involved in the project from its conception, including the preparation of conceptual design plans, preliminary engineering plans, and environmental assessment. Garver recently submitted final plans, specifications, and estimates for the I-244 westbound bridge and will soon complete the eastbound project as well. Today is the last day to participate in The Salvation Army Angel Giving Tree, which is a program that provides underprivileged children with Christmas gifts. To ensure delivery by Christmas, you can drop off a JCPenny gift card at your local Salvation Army Corps Community Center, and the ministry will use it to purchase presents for a child. Each year, The Salvation Army helps more than 4 million people through social service programs during Christmas. 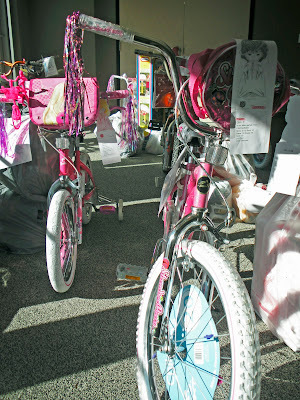 In 2009, the Angel Giving Tree program benefited nearly 40,000 kids nationwide. This holiday season, Garver employees teamed together to purchase bicycles, toys, and clothes to benefit children in our local communities. Under a Department of Environmental Quality consent order to meet water quality targets, the City of Mustang, Okla. had to upgrade its wastewater treatment plant within a fiscally strapped budget. The city worked with Garver to tackle this major capital expense by designing the project in two phases, separating them by 10 years and utilizing government funding sources. The first phase is now complete, and the $6.1 million project has doubled the plant’s efficiency and capacity—and all without expanding the site’s footprint with new construction. 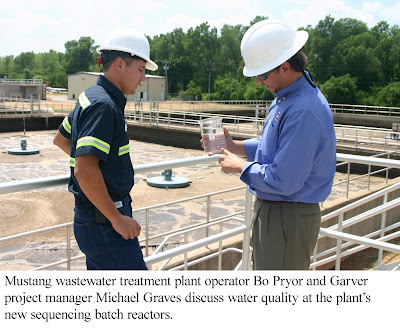 Garver worked with DEQ to develop a two-phased project that would bring the plant back into compliance and ultimately expand the facility to meet a 20-year build-out flow rate by 2017. Using a phased approach enabled the city to build the infrastructure necessary to treat 10 years worth of future wastewater flow now rather than tackling a full 20 years in one project. This also cut the improvement expenses into two manageable costs. “In a project like this where you have everything go smoothly, it comes in under budget, and it comes in on time, it truly is a great example of the kind of working relationships that we like to have and the partnership that it takes with engineering firms such as Garver,” said J.D. Strong, Oklahoma Secretary of Environment and Executive Director of the Oklahoma Water Resources Board. 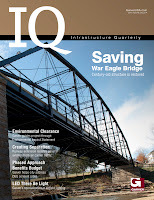 Read more about this project in Garver's upcoming issue of IQ, our quarterly newsletter. 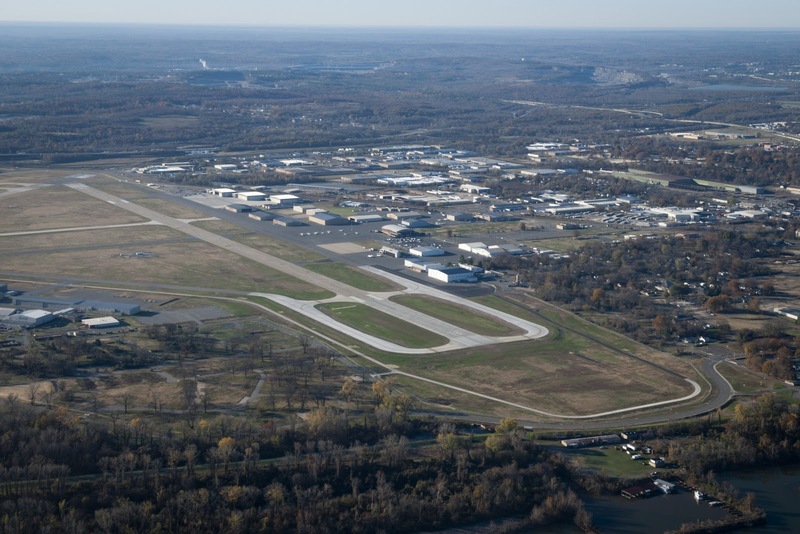 Arkansas' largest airport, Little Rock National, has extended Runway 18/36 another 1,100 feet to better accommodate larger corporate jets on its general aviation runway. This enables airfield controllers to use the 6,224-foot Runway 18/36 for more business jet traffic and open up commercial operations on the other airport runways. 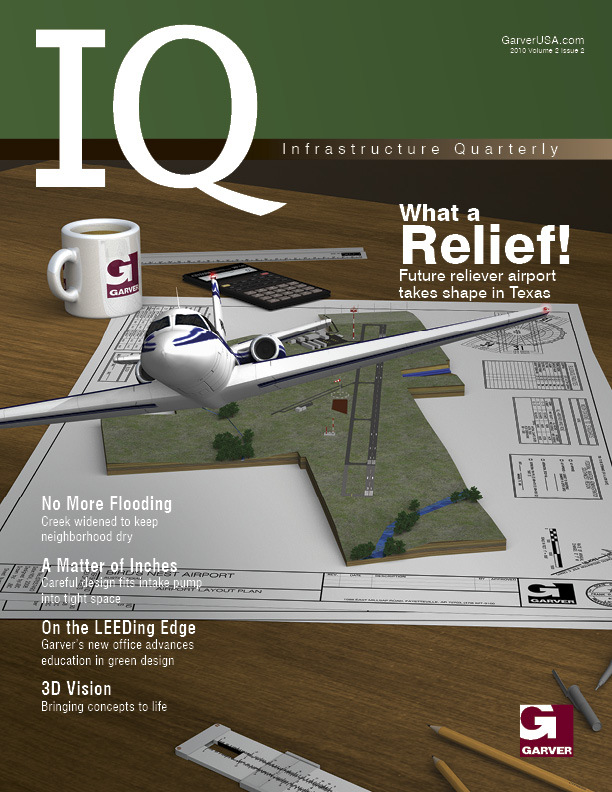 This project is featured in Garver's upcoming issue of IQ, our quarterly newsletter. Until then, here are some project numbers that reveal the project's massive undertaking. 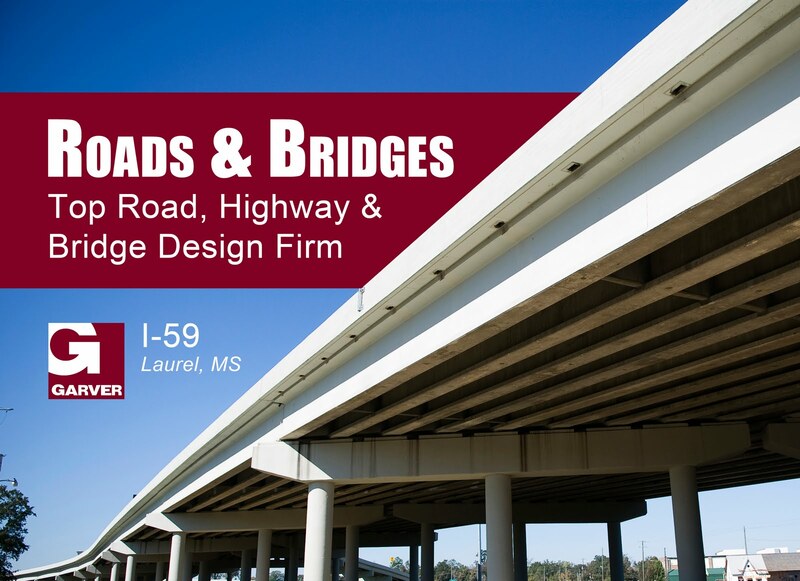 Garver recently made a presentation to 80 engineering students and faculty at the University of Arkansas about the War Eagle Bridge restoration project. Chris Wilbourn, the project's lead structural engineer, discussed aspects of the project and shared information about the design and construction process. Garver engineers Natalie and Nathan Becknell and Jeff Webb also attended and were available to answer questions. Stretching across War Eagle Creek, the century-old steel truss bridge was built to allow the adjacent War Eagle Mill to transport flour to local markets without fording the river. The 300-foot bridge is only one of a handful of steel truss bridges in Arkansas, and it is listed on the National Register of Historic Places. Beginning with a comprehensive field and structural inspection study in 2005, Garver provided planning, design, and construction observation and administration to rehabilitate the main truss span and the approach spans and restore the stone piers, timber deck, steel stringers, floor beams, truss, and bearing supports. More information on this project will be available in Garver's December issue of IQ, our quarterly newsletter. Garver's Tulsa office worked with the SAME Tulsa Post to collect canned food for the Community Food Bank of Eastern Oklahoma. 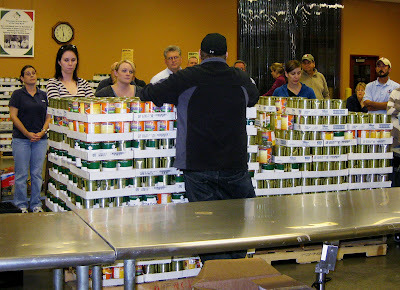 Garver employees Chris Livingston, Cindy Gran, Tom Loney, Brent Schniers, Kelly Fincannon, and several spouses also volunteered time at the food bank to sort and label pallets of various canned goods. 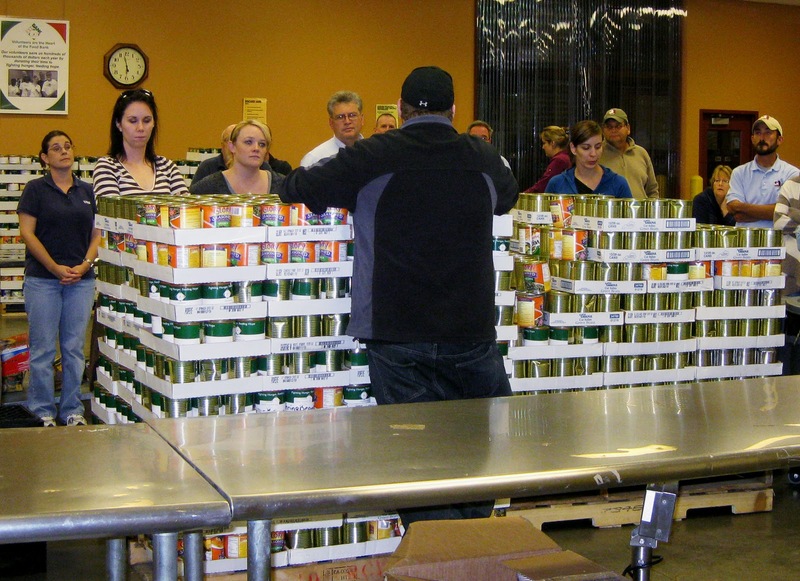 Eleven companies participated in the drive, collecting more than 1,150 pounds of food donations. The Garver office collected 176 pounds of food for the community food bank. Electrical Project Manager Bart Gilbreath, PE, LEED AP BD+C is making a presentation at the FAA Southwest Region Airports Division Fall Conference on November 17. Gilbreath and Jeff Hough, PE with the Tulsa Airports Authority will discuss “Performance Guarantee Contracting Can Help Implement New Airfield Technology” at 2:30 pm and 3:40 pm. 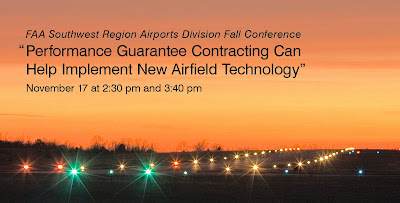 Topics include performance guarantee contracting (which involves using operational cost savings to fund capital project costs), the evolution of aviation lighting, and new aviation lighting technology. The conference runs November 15-17 in Fort Worth, Texas. According to the FAA, the conference offers a forum for aviation interests within the five-state Southwest Region (Texas, Louisiana, Arkansas, Oklahoma, and New Mexico) to discuss topics and concerns related to airports and aviation. The conference provides an opportunity to expand knowledge of aviation issues, foster information exchange, and establish networking relationships. Issues to be addressed include safety, standards, planning engineering, funding, and construction. Registration is available online. Construction on the Interstate 244 Inner Dispersal Loop in Tulsa, Oklahoma is continuing to meet progress milestones and is expected to finish early next year. 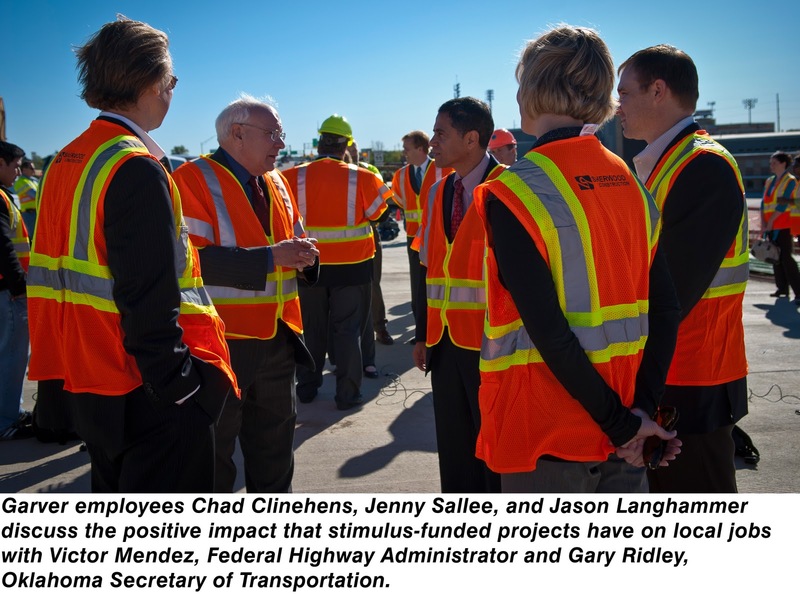 Last week, Federal Highway Administrator Victor Mendez visited the IDL to inspect its progress. The $75 million project is reconstructing the west and north legs of the loop and replacing more than 40 bridge decks. Located in the heart of Tulsa, the IDL handles 62,000 vehicles a day, and rehabilitating the loop became a massive undertaking. It is the single largest project ever let by the Oklahoma Department of Transportation. Garver's services include fast-track design on the western leg, maintenance of traffic on both the west and north sections, and a safety analysis. During his visit, Mendez also stopped by the Interstate 244 multimodal bridge, another Garver project. Garver is providing a preliminary engineering study and final construction plans for the Interstate 244 westbound bridge over the Arkansas River in Tulsa. The I-244 multimodal bridge will be a two-level structure that carries rail, vehicular, and pedestrian traffic. The rail will accommodate both commuter and high-speed lines. The Laurel, Mississippi I-59 S-curve reconstruction project has been awarded the national People's Choice Award through the America's Transportation Award competition. The award is co-sponsored by the American Association of State Highway Officials (AASHTO), AAA, and the U.S. Chamber. “Thank you to all who voted, and a special thank you to the men and women who were on the front lines of this project, guiding it through a long development process to successful completion,” said Larry L. “Butch” Brown, MDOT Executive Director and former President of AASHTO. MDOT retained Garver in the early 1990s to design an S-curve route improvement, and after finishing the original design, the project was placed on hold. MDOT again selected Garver in 2005 to redesign the structure with additional economical options, and Garver provided services on a fast-track schedule. The People's Choice Award is voter-based and recognizes the best nationwide project. More than 270,000 online votes were cast. In September, the S-curve project won a regional America's Transportation Award in the Under Budget category, which honored the project's $6 million surplus. The S-curve project was one of ten winners that scored the highest during regional contests. "These projects are making travel smoother, safer, and less congested for millions of motorists every day," said John Horsley, AASHTO executive director. "We know that taxpayers understand the value of quality transportation, and this contest shows how states are investing their limited resources wisely." 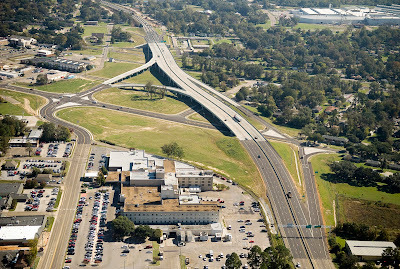 Garver designed the project for the Mississippi Department of Transportation. The S-curve project involved realigning a dangerous interstate curve with a new 1,980-foot, six-lane, elevated bridge and three elevated ramps. Garver provided roadway and bridge design, comprehensive construction plans and phasing, traffic signalization, overhead and under-structure lighting, and signage. Garver is now providing services to widen and overlay an additional 2-mile stretch of I-59 immediately north of the S-curve. spring water source that is high in alkalinity. 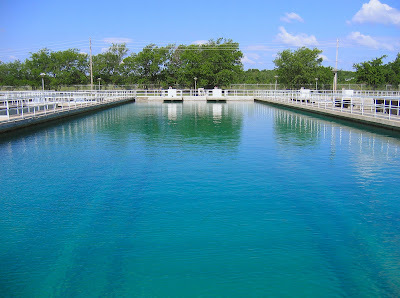 Garver designed the new water treatment plant to include a state-of-the-art, series membrane process involving ultrafiltration followed by reverse osmosis. 18 months to complete once construction begins. City officials are also excited that local contractors are providing design and construction services. 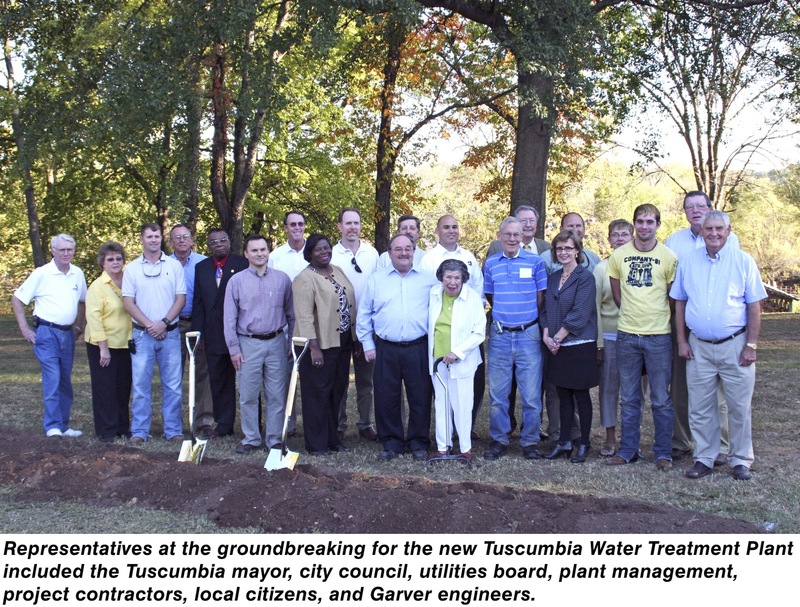 Tuscumbia Utilities Director David Thorton told the Times Daily newspaper, "I can't think of a better team for this project. All these [Shoals] local contractors mean local labor." 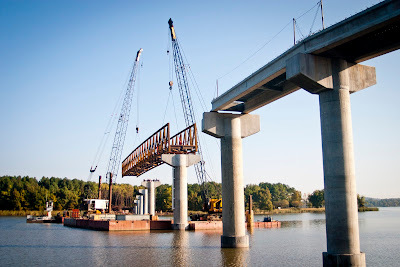 Two cranes lifted a 210-foot-long steel truss and set it on its piers across the Little Maumelle River on Wednesday in Little Rock, Arkansas. The 200,000-pound truss arches across the navigational span and is a vital component in the completion of the Two Rivers Bridge. By next summer, bicyclists and hikers will have miles of trails to explore as the bridge connects the Arkansas River Trail with Two Rivers Park. The eight-piece truss was prefabricated and transported by truck to the site where it was bolted together. The remaining bridge sections are 100-foot prestressed concrete spans that will be constructed in place. The bridge's profile will continue to take shape as the remaining beams will soon be delivered, and in the near future construction crews will begin pouring portions of the concrete deck. Garver provided engineering services to design the 13-span, 1,162-foot bridge. An arsenic-treatment technology that is helping an Oklahoma city reclaim its water and revenue. High arsenic levels within drinking water have forced cities to shut down their supply wells, resulting in the surrender of expensive infrastructure and accumulation of idle assets. Rather than accept this forfeiture, the city of Norman pursued an innovative arsenic-removal system to reclaim abandoned wells. A concrete-recycling method that helped an international airport save millions of dollars in reconstruction costs. When a primary runway at Nashville International Airport in Tennessee required full-depth reconstruction, Garver pursued a progressive concrete-recycling method to reuse the pavement, which saved the client an estimated $2 million in aggregate costs alone. Garver provides design on a Corps of Engineers project 1,000 miles away. Garver worked with the U.S. Army Corps of Engineers on a $31 million project to construct a new Bureau of Indian Affairs Wingate High School in Fort Wingate, N.M. When DOTs face critical deadlines, Garver answers the call. Departments of transportation rely on Garver to provide fast and reliable service through on-call contracts. Need CE&I? Garver is strengthening its diverse field of work by enhancing its construction services group and pursuing construction engineering and inspection opportunities. 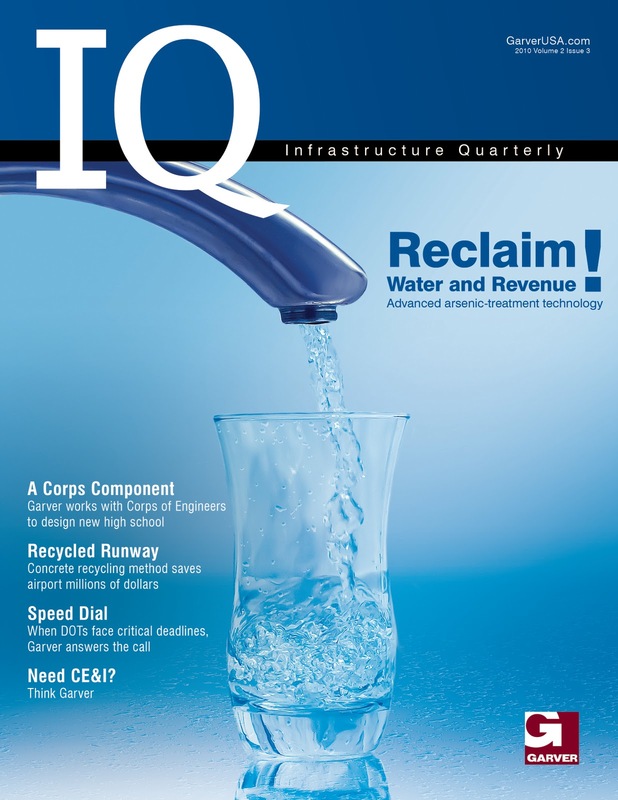 Watch your mailbox for IQ or read it online along with past issues. The renovation of the century-old War Eagle Bridge in Benton County, Arkansas is complete, and it has reopened in time for the War Eagle Arts and Crafts Fair this weekend. Garver provided planning, design, and construction observation and administration to rehabilitate the bridge's main truss span, replace the approach spans, and rehabilitate the stone piers, timber deck, and other structural aspects. Faced with construction time constraints due to the area's nationally acclaimed craft fairs, Garver understood the importance of these events and worked hard to complete the project on time and under budget. The bridge is listed on the National Register of Historic Places, and the integrity of its appearance was maintained throughout the construction process. Historical information on the bridge is available on the national register nomination form posted by the Arkansas State Highway and Transportation Department. 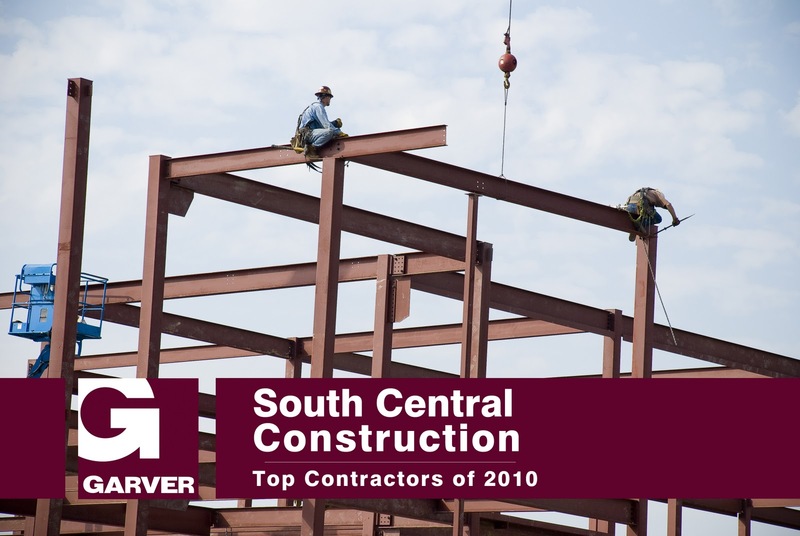 South Central Construction has ranked the region's Top 50 design firms, and Garver is listed as #15. Garver's ranking is based on regional revenue numbers that involved our offices in Arkansas, Tennessee, Alabama, and Mississippi. Garver also is listed as the #1 design firm in Arkansas, #15 in Mississippi, and #18 in Tennessee. 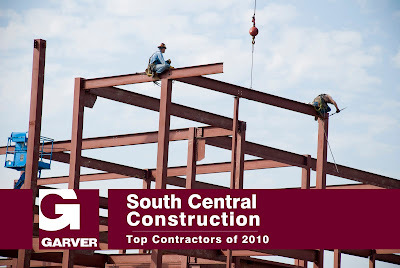 The South Central region is Alabama, Arkansas, Kentucky, Louisiana, Mississippi, and Tennessee. 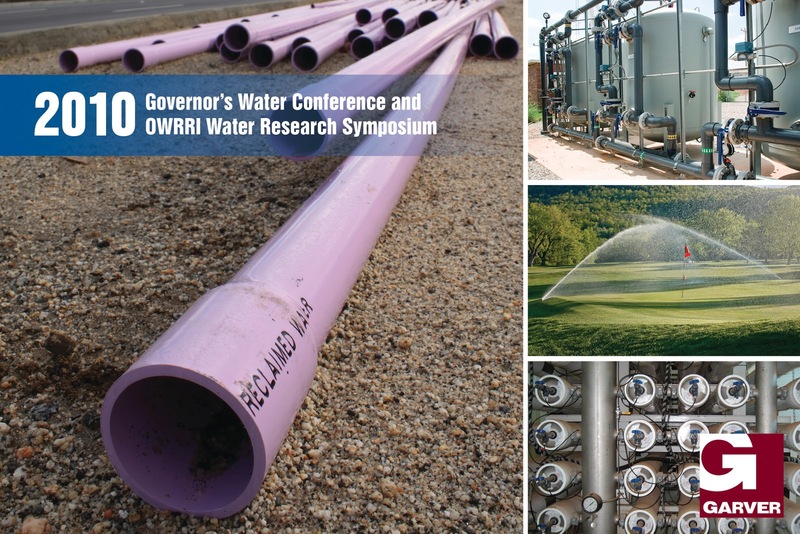 Garver is making two presentations at this year's Governor's Water Conference and OWRRI Water Research Symposium in Norman, Oklahoma. The conference brings together water officials with expertise in Oklahoma's water resources to discuss and share developments in water management and quality, infrastructure financing, and other topics. Garver engineers Michael Graves and Mary Elizabeth Mach will lead the following topics on Tuesday, October 26. The conference is October 26–27 at the Embassy Suites Conference Center. Online registration is available until October 12. While some Garver employees were pumping the pedals in last weekend's Big Dam Bridge 100 Cycling Tour in central Arkansas, other employees showed their support by volunteering at a rest stop for weary bikers. This past Saturday, Garver pitched a tent in our North Little Rock office's parking lot, and our employees turned out from 6 a.m. to 4 p.m. to hand out food, drinks, and encouraging words to cyclists tackling rides ranging from 16 to 100 miles. Garver, which was recently named a leading bicycle-friendly business, supported the event in other ways. 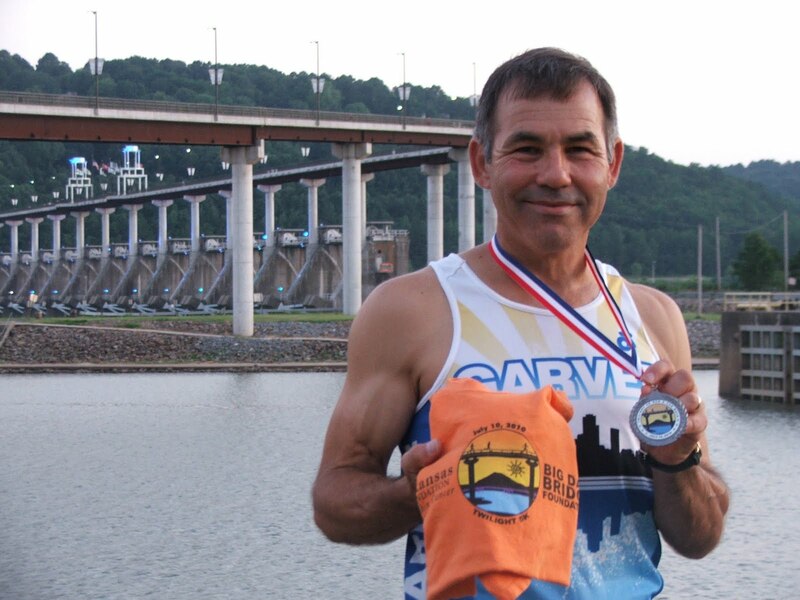 For the second consecutive year, Garver sponsored and designed the Big Dam Bridge 100 bicycle jersey. In addition, Garver Transportation Director Bert Parker serves on the Big Dam Bridge Foundation board of directors, which promote the use, support, and preservation of the Big Dam Bridge for the advancement of health, fitness, cultural, and recreational activities in Arkansas. Nearly 2,000 cyclists turned out for the race, which is one of Arkansas' largest bicycling events. The Kerrville/Kerr County Joint Airport Board is preparing an Airport Master Plan to identify improvements to Kerrville Municipal/Louis Schreiner Field Airport. 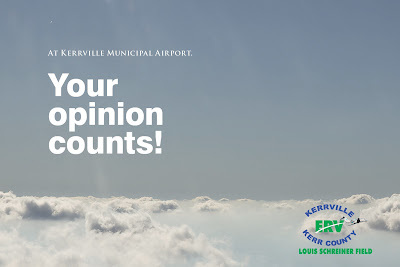 If you use Kerrville Airport, you can provide helpful information concerning airport usage, current needs, and improvement priorities by filling out a short survey. Please visit the Airport's webpage and click the Master Plan Survey link at the bottom right. You may also go directly to the survey. Your comments are greatly appreciated! Call Perry Havenar at 972-377-7480 or email him at PLHavenar@GarverUSA.com. We assure strict confidence in your response! The League of American Bicyclists has awarded Garver a Silver designation as one of the United States’ top bicycle-friendly businesses. As part of its Bicycle Friendly Business program, the League recognized Garver for its efforts to promote employee health and fitness through bicycling activities. The League has designated 196 bicycle-friendly businesses in 31 states, and Garver is the highest ranking Arkansas company as well as the first awarded engineering firm in the state. Garver’s recognition underscores the firm’s commitment to improving employees’ health through fitness. 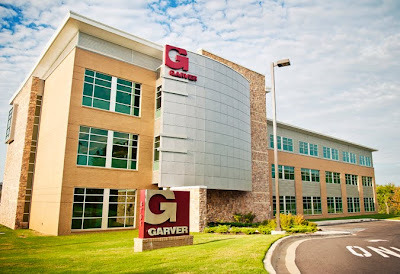 Garver’s headquarters is located less than one mile from the Arkansas River Trail system, which was a factor in relocating the corporate office from Little Rock to the Northshore Business Park in North Little Rock. Garver has taken many steps to integrate bicycling into its business culture. In May, Garver’s offices in North Little Rock and Fayetteville defended commuter challenge titles during National Bike to Work Week activities. Garver also provides custom jerseys to bicyclists who meet fund-raising goals for local charities; offers cash incentives to employees who meet quarterly workout targets; posts upcoming rides and other bicycling activities on this corporate blog; and schedules weekly rides geared toward new bicyclists. 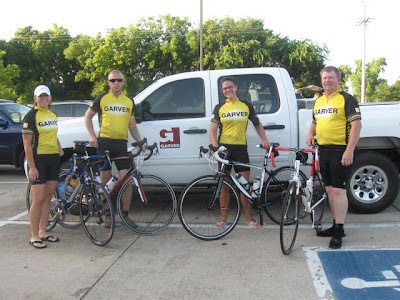 This Saturday Garver employees will be riding in the Big Dam Bridge 100 Cycling Tour. Garver is also hosting a rest stop in its front parking lot to serve food and drinks to riders. Garver has written a press release providing additional information. Garver congratulates two of our engineers for their election as officers to the Arkansas Society of Professional Engineers (ASPE). 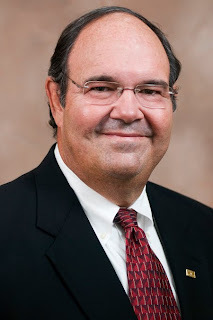 Paul Strickland, PE is serving as the 2010-2011 vice president for the state board. Paul is a water project manager and mechanical engineer in our North Little Rock office. Fred Harper, EI is the 2010-2011 state director for the central chapter, serving as a communications director between state leaders and chapter leaders. Fred is a transportation project engineer in our North Little Rock office. 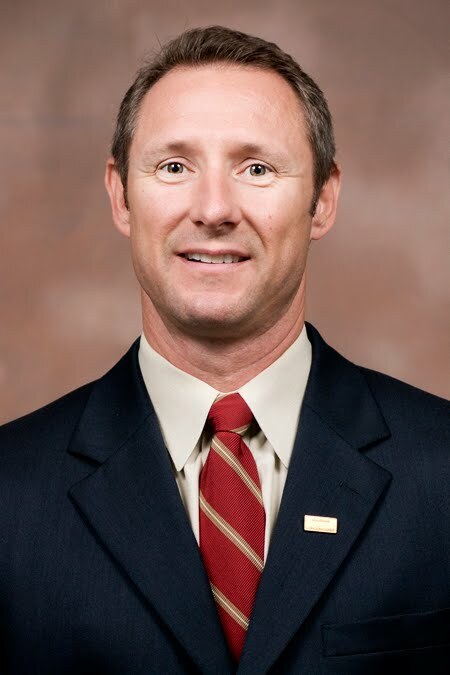 Garver congratulates Bert Parker, PE for his election as an officer to the American Council of Engineering Companies (ACEC) of Arkansas Board of Directors. 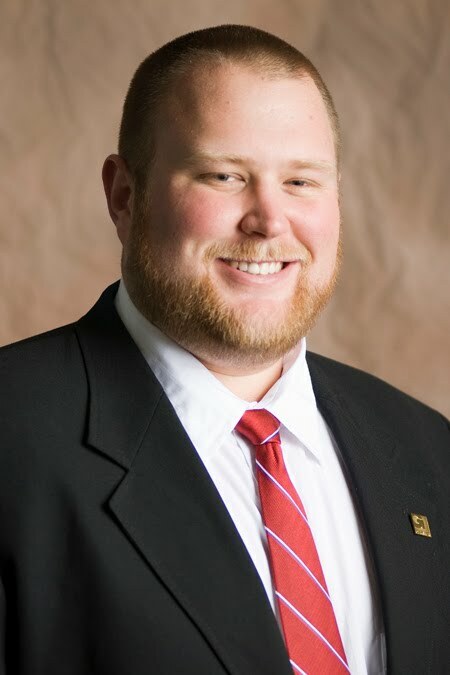 He is serving as the 2010-2011 Treasurer. Bert is Garver's Director of Transportation. The U.S. Green Building Council recently certified Garver's three-story corporate office in North Little Rock, Ark. as LEED Silver. The USGBC provides independent, third-party verification that a qualifying structure meets the highest green building and performance measures. “This office provided us with an educational springboard to better develop and produce future designs that incorporate energy performance, indoor environmental quality and sustainable sites,” said Garver mechanical engineer Joel Funkhouser, PE, a LEED Accredited Professional. Viridian, the sustainability consultant that worked with Garver throughout the project and coordinated the LEED certification process, also published a press release. The Mississippi Department of Transportation received an America's Transportation Award in the "Under Budget" category for its S-curve reconstruction project in Laurel, Mississippi—a Garver-designed project. The Under Budget Award recognizes the project's $6 million surplus, money that is now being used to improve additional portions of I-59. The project is now competing for the top transportation project in the nation. 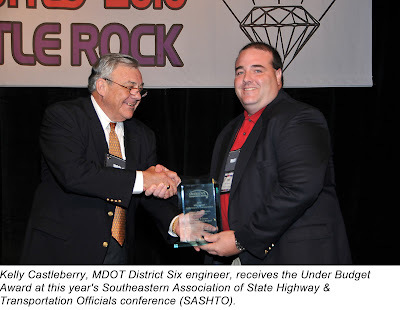 The awards, which honor the year's best state department of transportation projects, is co-sponsored by the American Association of State Highway Transportation Officials (AASHTO), AAA, and U.S. Chamber. The Under Budget Award "honors a project demonstrating transportation efficiency while promoting economic and fiscal responsibility. The award recognizes a successful project brought in under budget that provided the greatest cost savings to the state while offering maximum performance." The S-curve project involved realigning a dangerous interstate curve with a 1,980-foot, six-lane, elevated bridge and three elevated ramps. Garver provided roadway and bridge design, comprehensive construction plans and phasing, traffic signalization, overhead and under-structure lighting, and signage. Garver is now providing services to widen and overlay an additional 2-mile stretch of I-59 immediately north of the S-curve. 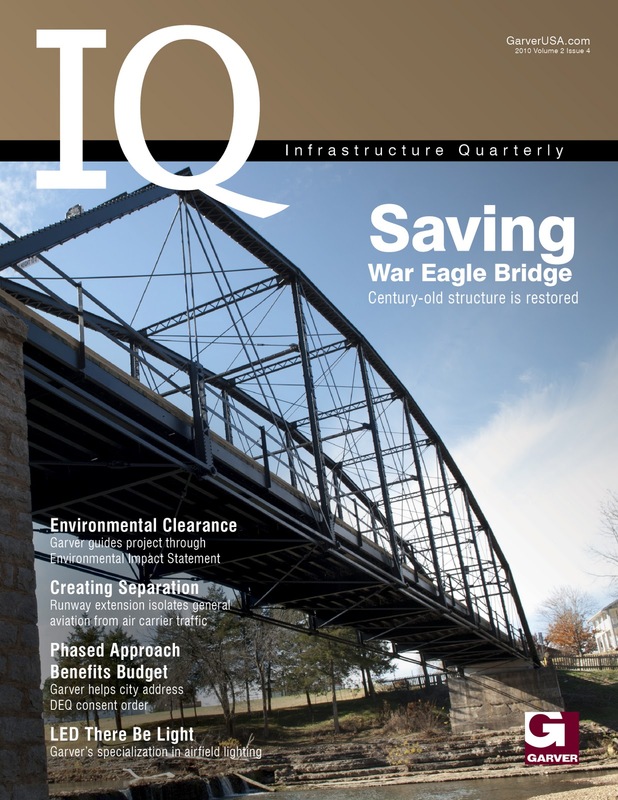 The S-curve project is now competing as a Top 10 Project for AASHTO's Grand Prize. Voting is online and ends October 18. Vote today for the S-curve project! The winners of the Grand Prize and the People's Choice Award will be announced October 31 at AASHTO's annual meeting. 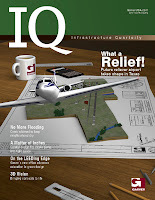 Garver made significant gains in the Roads & Bridges magazine annual "Go-To List" of the 2010 Top Design Firms. The magazine listed Garver as #22 in its list of Top Road and Highway Design Firms and #17 in the list of Top Bridge Design Firms. According to Roads & Bridges magazine, the Go-To list is compiled through a survey that is answered by government readers who "select the firms they prefer to work with out on the jobsite." Click here to view the 2010 Road & Bridges Go-To list. The Fayetteville Public Library in Arkansas has installed a solar test bed on top of its roof to help produce electrical power and reduce energy costs. Garver provided guidance to University of Arkansas students in developing construction plans and specifications for the 60-panel, 15kW solar cell test bed facility. The test bed facility also includes a kiosk for public education and smart-meter for utility integration. 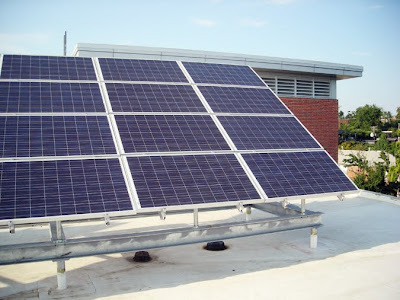 A Website has been launched that shows the real-time energy generated by the solar array. Garver's involvement included coordinating the project, conducting meetings, mentoring students, and providing quality control. Garver Electrical Engineer Bart Gilbreath, PE led Garver's services and helped students recognize the "real-world" implications of the engineering design process, such as functionality, safety, and system longevity. The Library recently held a public presentation to show off its new technology. The project was funded through a $60,000 grant from the International City/County Management Association. 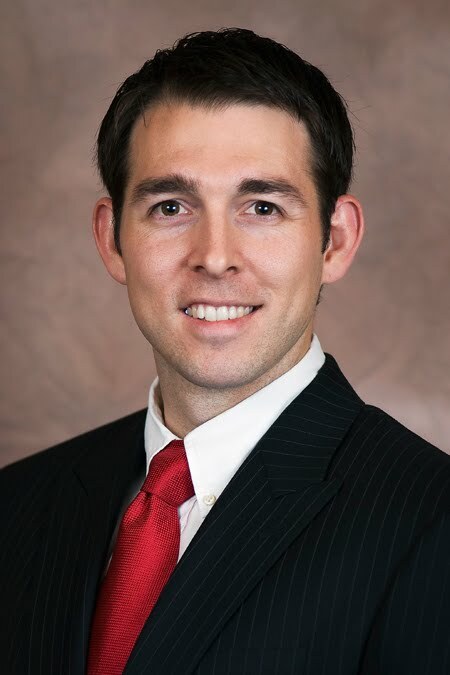 Garver congratulates Brent Schniers, PE for being elected as an officer to the American Council of Engineering Companies (ACEC) Oklahoma Board of Directors. Brent is serving as the 2010-2011 Vice Chair of Education/Public Relations. Brent is Garver's transportation team leader in our Tulsa office. Garver congratulates two of our engineers for being elected as officers for the Tulsa Branch of the American Society of Civil Engineers (ASCE). 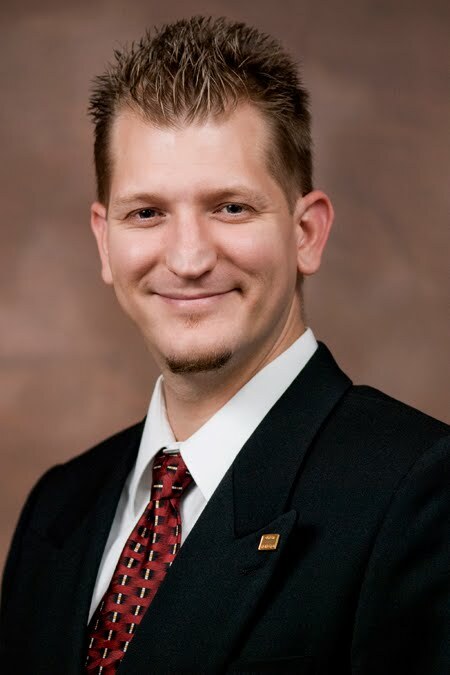 Jeremy Stahle, PE, CFM is serving as the 2010-2011 branch president. 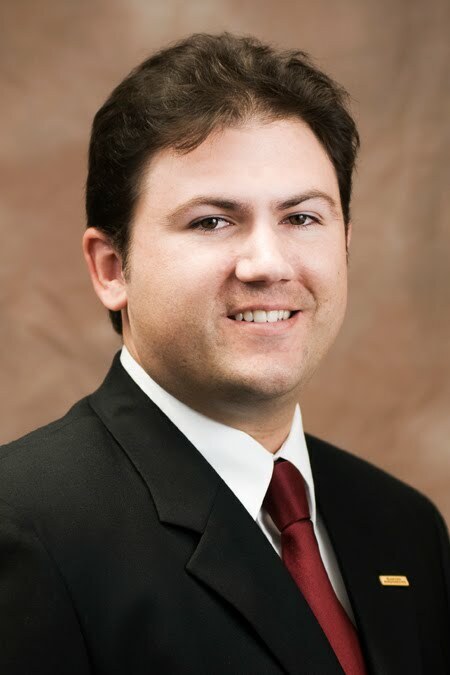 Jeremy is an aviation project manager in our Tulsa office. Nick Braddy, EI is serving as the 2010-2011 branch secretary. Nick is a transportation project engineer in our Tulsa office. Garver senior construction observer Randy Marsee (far right) recently competed in The Duncan Dehydrator bike race in Duncan, Oklahoma, finishing a 25-mile ride in 1 hour and 25 minutes. Not only did Randy beat his time goal by five minutes, but also completing the race was a great accomplishment. Randy ruptured his Achilles tendon in June and only recently could begin biking again. Sporting Garver jerseys, Randy participated in the event with his wife and brother and sister-in-law. The Duncan Dehydrator is an annual event that supports the Duncan junior high and high school bands. This year 520 riders competed. Garver construction observer Charles Petty has qualified for the World Duck Calling Championship for the 24th consecutive year after winning a regional championship. Charles won the Susquenhanna Flats Regional Duck Calling Contest in Easton, Maryland and will compete for the world title in Stuttgart, Arkansas this November. "Endurance, determination, and the love of the sport has motivated me to continue to compete," Charles said. Charles has previously finished as high as second place in the world competition, and for nine consecutive years he placed in the top ten. Charles, 61, is also the reigning Senior World Champion, and ESPN wrote a feature article about Charles after he won the 2009 competition. Crooked Creek Productions created a video featuring Charles' winning duck call at last year's Senior World Championship. Check it out and then cheer on Charles later this year as he seeks the highest prize in the duck calling sport! Bill Ruck after running in the Big Dam Bridge Twilight 5K Race. Two Garver employees ran in the Big Dam Bridge Twilight 5K race in North Little Rock, Arkansas. Battling 90-degree heat, Bill Ruck and Jason Johnston took part in the 3.1-mile run, which included two trips over the Big Dam Bridge. Bill placed second in his age group, averaging an 8:17-minute mile and completing the race in 25:42. Jason ran an average 10:08-minute mile and finished in 31:26. Garver provided structural and electrical design services and a topographic survey as part of the bridge's construction. The Big Dam Bridge extends across a working lock and dam above the Arkansas River. Billed as the world’s longest pedestrian bridge specifically constructed for recreational purposes, the Big Dam Bridge traverses 4,200 feet across the water and connects the metropolitan areas of Little Rock and North Little Rock, Arkansas. U.S. Sen. Richard Shelby has announced that a Senate-approved appropriations bill includes $10 million to widen a vital corridor in Huntsville, Alabama, which is a Garver project. The Huntsville Times recently ran an article about Martin Road and its funding. Garver is responsible for field surveying, preliminary design, corridor and environmental studies, traffic studies, bridge hydraulic modeling, preliminary bridge design, right-of-way acquisition documents, and design and construction plan preparation services to widen Martin Road from a two-lane facility to a five-lane roadway with curb and gutter, sidewalks, integrated bike lanes, traffic signal, and a new bridge structure over Betts Spring. 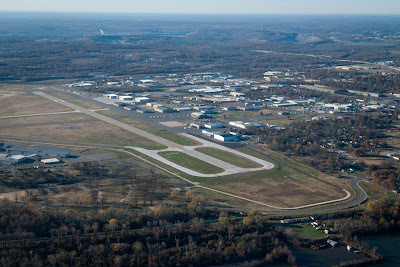 The Martin Road corridor provides a vital connection between Redstone Arsenal and Huntsville International Airport, and the proposed additional lanes will provide the needed capacity to handle the increased traffic volumes on Martin Road. This project will also provide the capacity needed for the rapidly growing residential developments in the area as well as the BRAC (Base Realignment and Closure) related growth anticipated at Redstone Arsenal. The Arkansas State Highway and Transportation Department is pleased to host the 69th Annual Meeting of the Southeastern Association of State Highway and Transportation Officials (SASHTO) in Little Rock, Arkansas. The event will take place August 28 – September 1. Sign up on the SASHTO website for e-mail updates and more information. Garver is helping sponsor this event and will participate in the activities. Please drop by our booth at the SASHTO Trade Show and meet our staff! 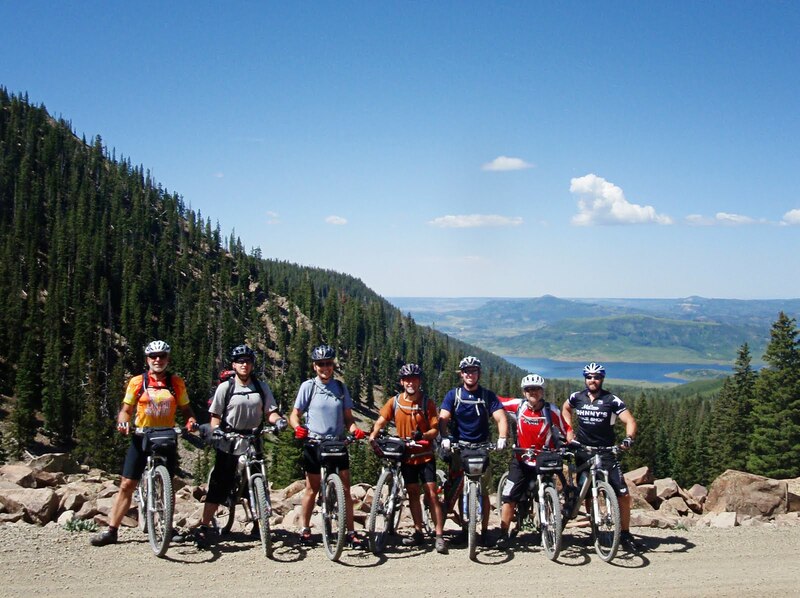 Six Garver employees conquered a challenging seven-day, 215-mile mountain biking adventure as part of San Juan Hut Systems. Biking an average of 30 rugged miles per day, the group traveled from Durango, Colorado through the alpine peaks of the San Juan Mountains to Moab, Utah's canyon country and desert slickrock. Brock Johnson, Dan Williams, Steve Jones, Chad Clinehens, Chris Milligan, and Kyle Kruger, along with Ron King, followed rugged and remote dirt roads, stopping every evening to rest in designated huts. Along the hut-to-hut biking system, the riders had to be wary of dehydration, mountain lions and rattle snakes, and lightning strikes. Their journey took them over mountain peaks and across the desert floor, offering spectacular views few people ever get to see. Each biker followed a rigorous three to six-month training program to get in shape for the adventure. The ride provided a great team-building activity that also served as a fitness challenge, which fits into Garver's culture of enhancing employee work/recreational life balance and an adventurous spirit. Garver employees Ian Toohey (right, kneeling) and Mike Rice (center, standing with black hat) celebrate the completion of a water supply project in La Pradera del Quetzal, Guatemala. 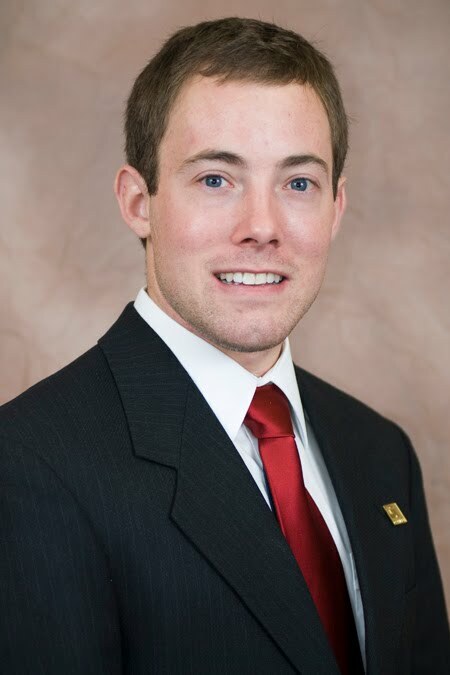 Project Engineer Ian Toohey serves as president of the Central Oklahoma Professional Chapter of the Engineers Without Borders-USA as well as the South Central Region, which includes Texas, Oklahoma, Louisiana, and Arkansas. EWB-USA is a national volunteer organization that brings together engineering students and practitioners to work on vital infrastructure projects in the developing world. Ian's roles include serving as a mentor and providing student volunteers with knowledge of engineering practices. He also assists regional chapters as an engineering resource. 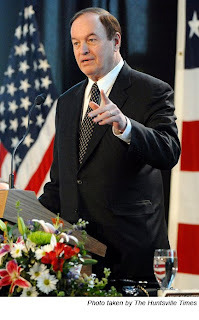 Earlier this year, Ian delivered a keynote speech at the senior awards banquet as part of Arkansas State University's College of Engineering commencement ceremonies. He discussed the goals and vision of EWB-USA and the importance of corporate citizenship. As University of Oklahoma students, Ian and future Garver employees Steve and Mike Rice volunteered their services on projects in other countries. Ian and Steve provided surveys to build a mission hospital near La Ceiba, Honduras, and Ian and Mike Rice helped develop a water supply in La Pradera del Quetzal, Guatemala. 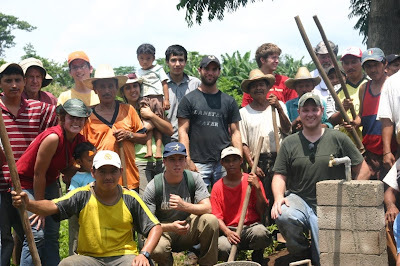 Mike returned to Guatemala a number of times with EWB. Garver's Norman office currently hosts the Central Oklahoma Professional Chapter of EWB-USA, and has supported local events held by the student chapter at the University of Oklahoma. In addition, several Garver employees in our North Little Rock, Arkansas office are officers in the Central Arkansas Professional Chapter. The next major event for the South Central Region is a training workshop November 12-14 at Southern Methodist University in Dallas, which is near Garver's Frisco, Texas office. Garver is designing a new water treatment plant in Tuscumbia, Alabama, and our design team is utilizing building information modeling (BIM) to enhance design and aid in public communication and awareness. BIM is a 3D-based technology that increases design efficiency and construction document accuracy. 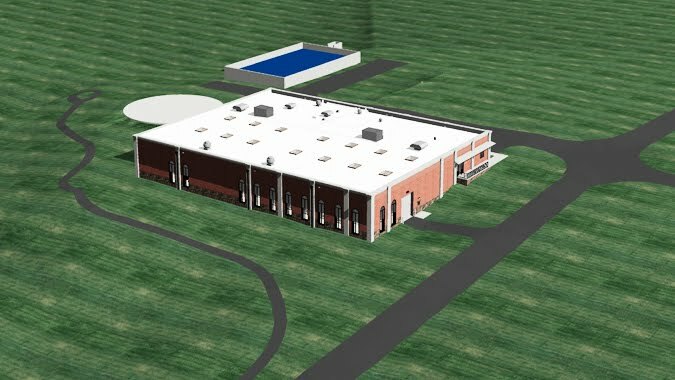 The new plant will include a state-of-the-art, series membrane process involving ultrafiltration followed by reverse osmosis. These processes are designed to provide safer, softer water to city residents. Because the membrane systems and ancillary equipment are intricate, Garver is using BIM to coordinate design disciplines within the facility. The new plant is located near historic Big Spring Park, and Garver capitalized on the benefits of BIM to create a realistic rendering to show residents how the facility will aesthetically fit within the site. The project proposes new raw water pumping, pretreatment basins, UF and RO membranes, disinfection, and high-service pumping. Garver is currently providing design, and construction is scheduled to begin in the fall. Two Garver employees participated in the Easy Runner Firecracker Fast 5K Race in Little Rock, Arkansas over the Fourth of July weekend. Bill Ruck finished in 23:06 and ran a 7:27-minute mile. He finished ninth in his age group. Derrick Hendrix crossed the line in 19:06, averaging a 6:10-minute mile. He placed seventh in his age group. A number of Garver friends and clients also came out in support. Jon Honeywell of Little Rock Public Works (pictured on right with Bill Ruck) and Mike Maulden of Entergy, Little Rock Port Authority Board Chairman, both ran outstanding times. Though sidelined by injury this year, James Firestone, Little Rock Port Authority Director of Operations, came with his family to support his daughter and the Garver runners. The Firecracker 5K has been held annually since 1976 and attracts runners throughout the region. This year nearly 1,000 participants ran in the event. When a water or wastewater treatment facility is faced with correcting non-compliant operations, it's important to determine a solution before implementing modifications or new treatment alternatives. Hiring an independent operations consultant can provide an unbiased perspective and an evaluation audit of the treatment facility's operation. Taking this approach as a first step can be less costly than altering plant operations without fully understanding the issues. Garver Water Operations Specialist Michael Graves has written an article detailing the importance of utilizing an operations consultant. Graves explains the steps behind a successful operations audit, which include evaluating existing plant performance, identifying opportunity for improvement, and optimizing corrective actions. With this holistic approach, a utility can identify and correct performance limitations - and possibly avoid major capital improvements. Also, by conducting an operations audit first, utility administrators will have a tool for continuous plant optimization, operator training, and compliant operation for years to come. Garver Water Team Leader Kirby Rowland, PE recently updated the Hot Springs Village Property Owner's Association on its water treatment plant improvements. Hot Springs Village posted a blog about Kirby's presentation, which can be read here. 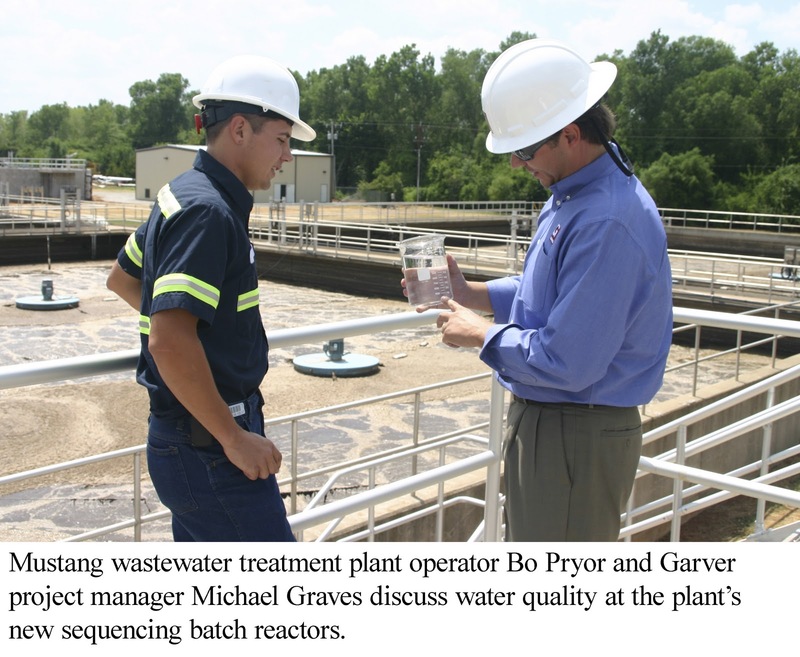 Garver is in the process of designing a plant upgrade from 4 million gallons per day (mgd) to 6 mgd. Due to budget constraints, the POA's board of directors requested that Garver provide updated cost estimates and evaluate available alternatives to bring the project cost within its budget limits. Garver recently completed a report that provided this information. Improvements include increasing the capacity of the intake and high service pumps and improving chemical treatment, clarification, filtering, and backwash processes. Michael Graves, Garver's Oklahoma Water Group Leader, participated in a golf tournament in support of Claremore's Habitat for Humanity chapter. 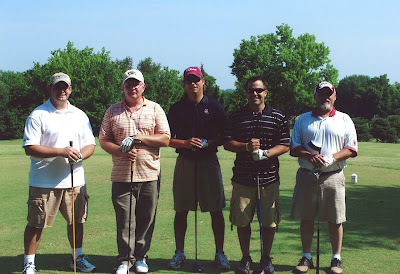 Graves (center of picture) hit the links with City of Claremore Utilities staff and 60 other players at Heritage Hills Golf Course with proceeds benefiting the non-profit humanitarian group. 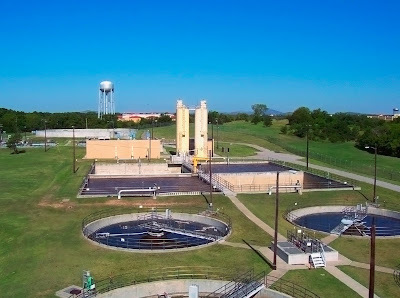 "We've had the privilege of working with the City of Claremore for nearly a decade to help provide sustainable solutions for their water and wastewater infrastructure," Graves said. "It's nice to have the opportunity to give back to the communities we are fortunate to work with." Garver's Oklahoma Water Group, recently completed design and permitting for Claremore's new biological nutrient removal wastewater treatment plant. Garver is currently providing daily project administration, inspection, operator training, and plant start-up services during construction. Upon completion of the improvements, the city is expected to gain much-needed wastewater treatment capacity and meet more stringent water quality requirements. The program costs of the improvements is nearly $20 million. Additionally, Garver has completed a Water Master Plan to assess water infrastructure and determine future drinking water supply and production capacity needs for the next 50 years. Garver is assisting Claremore move forward with recommendations from the plan. The careful design of a new intake pump. The facility's tight quarters required Garver to expertly design the new vertical turbine pump barrel to come through existing openings with a clearance of less than 2 inches. The steps taken to eliminate flooding in a Tulsa neighborhood. A bridge replacement and creek-widening project has washed the site's hydraulic inadequacies downstream. Garver's education in LEED design. Our new corporate office advances our understanding in green design. How Garver is utilizing 3D design. Garver is using 3D technology to drive project documentation and graphically detail design intent. Garver's Water Group is currently working on the first phase of a project in Fort Sill, Oklahoma to reuse treated wastewater for non-potable water applications. This U.S. Army Corps of Engineers project is unique in Oklahoma because the state does not currently have wastewater reuse standards. Garver will assist the USACE in obtaining a permit to construct the planned reuse project from the Oklahoma Department of Environmental Quality. The first phase includes chemical treatment; recycled wastewater pumping, piping, and source heat pumps; and cooling towers. Future phases are expected to include the application of recycled wastewater for vehicle wash facilities and golf course irrigation. Garver was recently a key contributor to an annual fishing derby for kids in Davis, Oklahoma. Garver's contributions enabled event organizers to purchase new rods, reels, and tackle for more than 40 children. After the Oklahoma Department of Wildlife Conservation conducted a training session on safety and ethics, the kids spent the rest of the day fishing. Garver's Oklahoma Water Team Leader, Michael Graves, participated in the event with his sons, Gavin and Keegan. "We enjoy working with the City on a routine basis on project-related activities," said Graves, referencing Garver's current design services associated with a new water treatment plant for Davis. "However, it's nice to have an opportunity to partner in a recreational activity that benefits children and parents. For many of these kids, it was their first time to catch a fish and learn about Oklahoma's wildlife and water resources." Five Garver employees recently passed their exams and received their professional licenses. Wayne Black, PE is an engineer in Garver's Transportation Group. Wayne works in our Brandon, Mississippi office and has been with Garver for four years. 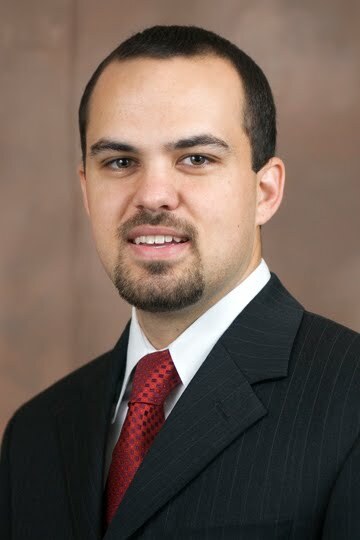 Josh Crawford, PE is an engineer in Garver's Aviation Group. 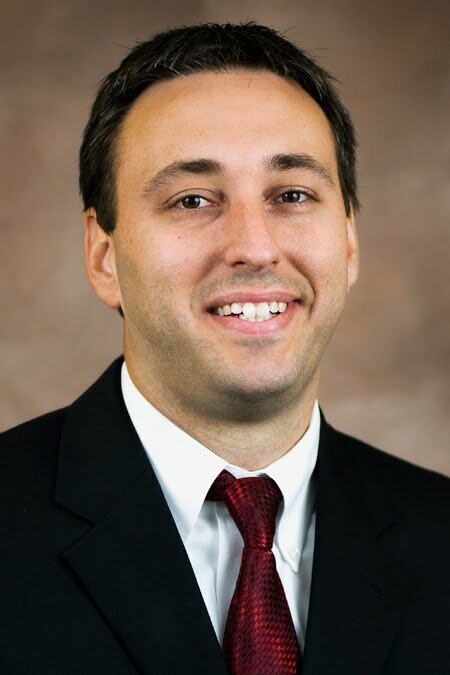 Josh works in our Fayetteville, Arkansas office and has been with Garver for five years. Jamie Eubanks, PE is an engineer in Garver's Water Group. Jamie works in our Destin, Florida office and has been with Garver for less than a year. 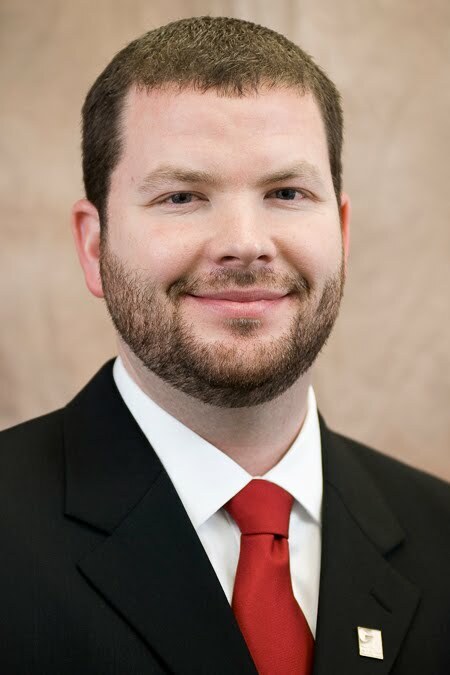 Ryan Patton, PE, LEED AP is an electrical engineer in Garver's Aviation Group. 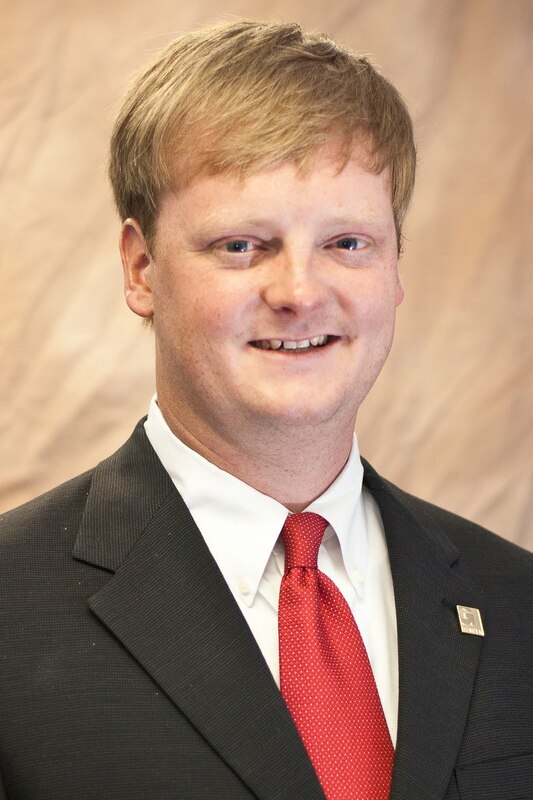 Ryan works in our Huntsville, Alabama office and has been with Garver for five years. Blake Staton, PE is a structural engineer in Garver's Transportation Group. Blake works in our North Little Rock, Arkansas office and has been with Garver for two years.